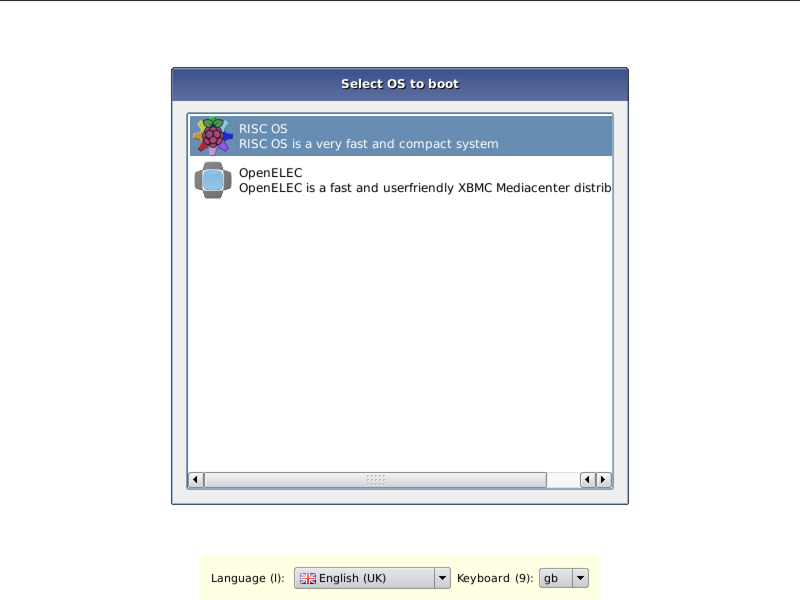 [0:14] <lvispy> which one is better for 256mb raspbmc or openelec? [0:22] <bel3atar> does Archlinux support GPIO interrupts? [0:24] <shiftplusone> what does uname -a say? [0:42] <[Saint]> IIRC, arch compile their own kernel, but its exactly the same. [1:20] <bruxc> currently done with adafruit's tutorial on converting my Pi to an access point. I can get the SSID to emit but cannot get any devices to connect to it. Can someone help me identify what is going wrong? [1:26] <Squarepy> brucx, so it is sending, is it also receiving? [1:32] <Squarepy> is it an open network? [1:33] <bruxc> I would imagine incoming packets on the connection would mean devices would need to be connected to the wireless. And I can't get any of my devices to connect to it..
[1:34] <pksato> bruxc: whata have on rpi logs? [1:35] <bruxc> pksato: how can I check that? [1:35] <pksato> tutorial dont have section to solve problems? [1:37] <bruxc> and I found little to no information on any threads with conversation about this project. [1:37] <bruxc> I can try that. [1:37] <bruxc> I honestly don't think that will allow my devices to connect. [1:38] <bruxc> xming into it. [1:43] <bruxc> I gotta figure out how to do that. [1:56] <bruxc> are you recommending i change TKP to AES? [1:59] <pksato> bruxc: rtl? you download binary blob driver to use ap? [2:00] <bruxc> I think so. [2:55] <ak51> shiftplusone: so I am thinking about running nginx something with this http://lab.hakim.se/reveal-js/#/ + the builtin midori browser. Do you think this is a better solution? [2:55] <shiftplusone> when you say 'transition' is there an actual transition (like a lame dissolve of page flip effect) or just go straight to the next slide? [2:57] <ak51> you were using muPDF? [2:57] <shiftplusone> I expect midori will be even worse. Have you looked at what screenly uses? [3:16] <[Ex0r]> hmm, so I take it the pi detects when something is plugged into the stereo out jack ? [3:22] <shiftplusone> You do, that's when the best fishing is! [3:22] <shiftplusone> ....I don't know where I am going with this. [3:22] <[Ex0r]> im gonna check and see if its something with the hdmi cable, possible because I noticed that there are artifacts on the screen at times, too. Like red green and blue lines flickering on and off. [3:23] <shiftplusone> are you currently using config_hdmi_boost ? [3:24] <shiftplusone> try adding config_hdmi_boost=4 as well. [3:33] <[Ex0r]> well i dont know what the heck is going on. [3:34] <ak51> thankfully, they have a helpful "This may take a while"
[3:34] <shiftplusone> [Ex0r], are you monitoring the tp1 tp2 voltage, since you want to attach a lot of stuff over USB? [3:35] <shiftplusone> Better than windows "this may take a few minutes" *5 hours later* "preparing to install windows updates..."
[3:37] <shiftplusone> <shiftplusone> [Ex0r], are you monitoring the tp1 tp2 voltage, since you want to attach a lot of stuff over USB? [3:38] <[Ex0r]> shiftplusone- Why would it all of a sudden be doing it now and it hasnt been doing it? [3:38] <shiftplusone> If things never did things they didn't previously do, things would never change, ey? [3:39] <shiftplusone> Do you have a multimeter? [3:39] <shiftplusone> tp1 tp2 voltage? [3:40] <[Ex0r]> top or bottom ? [3:40] <[Ex0r]> what should it read? [3:41] <shiftplusone> [Ex0r], what does it read? [3:41] <shiftplusone> [Ex0r], in your case, it sounds like it's 4, if you're lucky). [3:47] <shiftplusone> 4.7 is low, but not THAT low. It's possible that it deeps lower during network activity and such. [3:48] <atouk> transients will drive the pi nuts. [3:55] <shiftplusone> I suspect it's the things you have plugged in AND the hub. [3:56] <shiftplusone> Without a extra power, the pi is only designed for a mouse and keyboard. [4:02] <shiftplusone> [Ex0r], don't forget that you can power the hub from the same supply your power your pi with, if it's up to the task. [4:07] <[Ex0r]> what do you mean? [4:13] <shiftplusone> did you install raspbian using noobs? [4:14] <shiftplusone> or did you use a raw imagE? [4:15] <pksato> if used noobs, hold shift on power up to get noobs screen. [4:54] <aZz7eCh> how to run my script as a service on boot without logging in? [4:57] <shiftplusone> if your script is /home/pi/something.sh , you'd put "/home/pi/something.sh &" in /etc/rc.local, just before exit 0. [5:01] <aZz7eCh> what the hell is the path to ~/Desktop/pycode ? [5:01] <[Ex0r]> hey shiftplusone, how do you suggest finding what wire is the ground in a dc adapter ? [5:02] <aZz7eCh> .. /home/Desktop/pycode ? [5:02] <shiftplusone> [Ex0r], the one that gives a positive reading when you connect the -ve (black) probe to it. [5:02] <[Ex0r]> with or without it plugged in ? [5:02] <shiftplusone> do they look different? [5:05] <aZz7eCh> shiftplusone: about to try it. have whacked "/home/pi/Desktop/pycode/control.py" in the rc.local file. i dont need to proceed it with "sudo python" ? [5:05] <shiftplusone> sudo is not needed. Does the file have a shebang? [5:06] <[Ex0r]> im assuming im gonna have to poke the wires with a needle or something to get the reading ? [5:06] <shiftplusone> aZz7eCh, does it start with #!/usr/bin/python? [5:10] <shiftplusone> wait, what is control.py.... what does it do? [5:10] <shiftplusone> not a gui one? [5:10] <shiftplusone> it should just run in the background, right? [5:14] <aZz7eCh> its not finding a source/mirror for it ? [5:21] <shiftplusone> does your script output anything like debug messages? [5:22] <shiftplusone> do you mind pastebinning it as well? [5:28] <shiftplusone> but it's created? [5:28] <shiftplusone> what does pgrep control say? [5:30] <shiftplusone> There's a bit more going on that I want to commit to right now. [5:30] <shiftplusone> Hopefuly somebody else will jump in. [5:41] <shiftplusone> ..... you're copying your files to /, aren't you? [5:46] <shiftplusone> The GPIO stuff you do at the very top of the script.... if it worked, you would be able to see whatever you have attached doing something, right? [5:48] <aZz7eCh> actually... "sudo python control.py &"
[5:50] <aZz7eCh> btw, whats wrong with copying the files to / ? [5:53] <[Ex0r]> May the fourth be with you! [5:54] * shiftplusone throws a calendar at [Ex0r] for being in the wrong timezone. [5:54] <[Ex0r]> its still may fourth here! 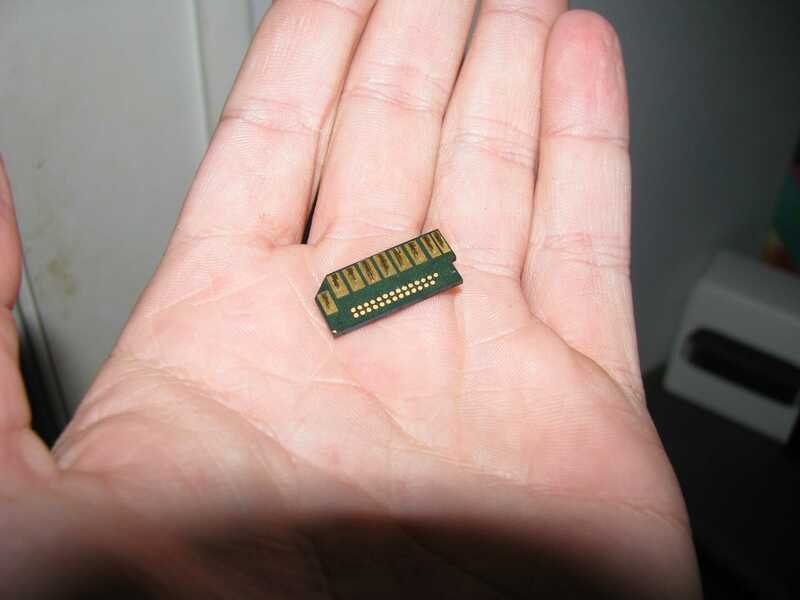 [5:54] <aZz7eCh> how small an sd card can you get away with for wheezy ? [5:55] <shiftplusone> aZz7eCh, depends on the installation method. [5:57] <shiftplusone> I am not sure if that still works on 2GB. [5:57] <[Ex0r]> what is noobs anyway? [5:59] <shiftplusone> I think so, but it's not much loved. [11:45] <Seahonk> Hey, am I correct in assuming that this "dual toggle switch" will control two different circuits without touching them together? [11:45] <Seahonk> So I can control a huge old CRT tv and a RPI without melting the RPI? [11:51] <justaguy> but, does a huge old crt have hdmi? [12:00] <Seahonk> What? No. The pi has a composite out. Also, I don't understand. I'm asking is the job of a dual toggle is to control two separate circuits. What does that have to do with the finer details of the rest of the project? [12:02] <Seahonk> Cool. It looked it, but I don't have a ton of experience with this sort of thing and I wanted to make sure. [12:24] <SpeedEvil> Composite has been around since I'd guess 1940. [14:42] <Munt> I guess my selections are born from ignorance. [14:53] <Munt> if someone creates a RaspberryPi opensource module in C ... can i interface with it easily in Python ? [14:56] <ShorTie> why not just use the python modules instead of adding confusion in with C also ?? [14:58] <Munt> I guess I'm just not experienced enough to be able to discern the differences for the coding situations I might encounter in the future. It would be great to learn a language that translates well to the scripting languages used in the popular 3d tools such as maya. [15:14] <Munt> Would it be worthwhile to run linux to code my pi projects in python or would that be a waste of time ? [15:16] <Munt> So it would be pointless to develop in a linux distribution if I'm running OSX currently ? [15:17] <pronto> if it's just going to be python projects why not just dev on the pi itself? [15:19] <pronto> or just ssh to the pi, and dev that way? [15:20] <Munt> I have not yet received my Pi in the post but ... that is the best option ? [17:02] <HappyX> Hey folks. I just thought about setting up a webcam to observate our courtyard. Well, an usual USB camera's cable would not survive being permanently squeezed by the closing and opening window. 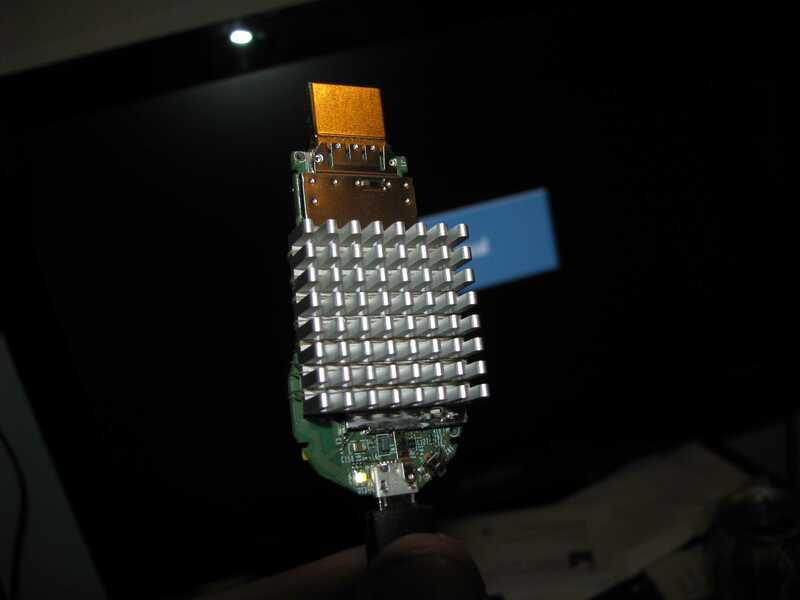 Are there some cheap cameras that can act wireless and sent images from the outside to the pi in the inside? [17:48] <IT_Sean> You can get a wifi based outdoor camera, i suppose. [17:48] <IT_Sean> Still gonna need to get powah to it. [17:51] <IT_Sean> You may be able to get away with a lesser panel depending on where you live. [18:05] <aZz7eCh> now that i've completed making my project, its now an issue. [18:07] <SpeedEvil> In short - actually waterproofing is hard. [18:07] <aZz7eCh> what, the hell, do people screw / mount / fix all their rpi's / arduino's / to ? [18:08] <aZz7eCh> like i say - the box part is fine ... but what the hell do people use to mount all their stuff up (boards/connectors/etc..) in the back of htese boxes ? [18:08] <SpeedEvil> Glue or bolts through the case. [18:09] <aZz7eCh> geeez, really? theres no common / easy back plate solution ? [18:10] <SpeedEvil> Well - no. [18:10] <SpeedEvil> It depends on the design of case. [18:11] <aZz7eCh> some sort of glue ? [18:14] <aZz7eCh> so just put four blobs down and push my rpi onto them, let it set ? [19:07] <aZz7eCh> be able to receive its own 3.3v back to each pin right? [19:09] <saedelaere> I have some fast level shifters for 5v -> 3.3v like 74HC4050 and i build bidirectional shifters for i2c, one-wire and spi with Mosfets and resistors. what fast level shifters can i use for 3v -> 5v? [19:14] <saedelaere> mgottschlag: ok for 5v to 3v I already have level shifters. they consume less power than a voltage divider :) second one sounds interesting. [19:15] <aZz7eCh> does that mean, its currently a 'pull up' resistor ? [19:16] <aZz7eCh> hell ... i dont even know what these resistors are - i bought them to protect led's in the circuit was all ..
[19:16] <aZz7eCh> 150k is all thats written on them ? [19:16] <saedelaere> oh and btw, does anyone know if the gpios on the rpi are open collector? [19:17] <mgottschlag> saedelaere: you can probably have them switch between "input" and "output low"
[19:26] <saedelaere> ok in this case the value of your resistor is much to low. just read about pull up and pull down resistors. [19:27] <pksato> aZz7eCh: enable internal pullup or pulldown resistors. [19:27] <pksato> not need a external/extra resistor. except on some situations. [19:28] <pksato> but, any resistor from 1k to 50k (or more) works. [19:28] <pksato> 4k7 and 10k are common values. [19:32] <aZz7eCh> the rpi has internal resistors ? [19:32] <aZz7eCh> for every gpio port ? [19:33] <pksato> for pullup or pulldown. [19:34] <pksato> are to set default a state on input. [19:36] <pksato> inputs are high impendace, and any signal (static, noise) can 'activate' it. (program read a randon value). [19:37] <pksato> for convenicente, inputs normaly are set to high logic value, using a pullup resistor. [19:40] <gordonDrogon> zleap, hold shift when you power it up. [19:40] <gordonDrogon> and keep it held down. [19:43] <gordonDrogon> if you like - but I thought it did a complte re-install when you switched, but I may be wrong..
[19:44] <gordonDrogon> sure - but are they all "installed" at the same time, or does one overwrite the next, etc. [19:45] <gordonDrogon> right - RE install. [19:46] <pksato> if I recall, noobs have a screen to choose OS on boot. [19:49] <gordonDrogon> ok. this is news to me then. I thought it only haneled one at a time. [19:50] <gordonDrogon> right - but how many at the same time? [19:55] <gordonDrogon> I have NOOBS - I have used it to install Raspbian, but I did not realise it could instlal multiple images. [19:55] <gordonDrogon> I really have no use for anything other than Raspbian though. [20:00] <gordonDrogon> maybe jsut forget that pi-dora even exists. [20:01] <pksato> zleap: call alien to do this conversion. but, not guarantees that .rpm works. [20:02] <aZz7eCh> okay so i've now watched a few good vids on pullup pulldown resistors (i dont have a 10k resistor to use - only these little 250 ohm (if thats what they are) ones. so, i've now also learnt how to set pull up or down in my py code ... easy. so how big did you say the internal resister was? [20:03] <pksato> but, .deb is a just ar archieve, easy to decompress and copy that needs. [20:17] <aZz7eCh> hmm... i'll ask rather than wonder.. it wont matter that i'm enabling this on all pins that are input pins ? [20:28] <gordonDrogon> aZz7eCh, what are you trying to do? [20:28] <gordonDrogon> aZz7eCh, ie. just connect up switches, or leds, or what? [21:12] <[Ex0r]> gpio pins ? [21:14] <aZz7eCh> the pi is suppose to have resistors inbuilt or whatever i've enabled ? [21:14] <aZz7eCh> thats the whole point - i shouldn't have to use resistors i was told ? [21:15] <shiftplusone> [Ex0r], nuh, that doesn't make sense. [21:17] <shiftplusone> remove the 3.3v connection. [21:17] <aZz7eCh> remove the 3.3 ?? [21:17] <mekenmk> it is possible? [21:18] <aZz7eCh> i am completely confused now ... so, merely gpio.in to switch, ground out the others side ? [21:19] <shiftplusone> then the pin is normally connected to 3.3v, but when you press the button, it's 0v. [21:20] <aZz7eCh> let me just do what you're saying first. [21:21] <aZz7eCh> that just eliminated an entire TRACT of wiring from my system. [21:21] <shiftplusone> family friendly channel.... the asterisks don't do anything. [21:23] <shiftplusone> do you understand what the issue was? [21:25] <gordonDrogon> aZz7eCh, if you have a button connected to a gpio and you make the gpio pin an output - then push the button, then yes, rebooting the Pi is a likely outcome. [21:26] <gordonDrogon> aZz7eCh, as long as the pin in an input then you should be fine. [21:26] <gordonDrogon> 3.3v -> button -> gpio is generally OK.
[21:27] <aZz7eCh> i put the pull up code "in"
[21:27] <gordonDrogon> 3.3v -> button -> gpio needs a pull-DOWN resistor - internal or external. [21:27] <gordonDrogon> 0v -> button -> gpio needs a pull UP resistor - internal or external. [21:28] <shiftplusone> I would recommend putting a resistor between the switch and the pi though. [21:31] <shiftplusone> after you write the image, just sync and yank the power out. [21:31] <shiftplusone> yes... the emergency kernel is the way to go, I think. [21:32] <shiftplusone> I've written images that way before, but it's obviously not the best way to do thing. [21:34] <ParkerR> to config.txt as an alternative to renaming kernels. [21:35] <ParkerR> Oh what are they? [21:35] <shiftplusone> "This feature is removed from default firmware as of 18th March 2014"
[21:38] <gordonDrogon> aZz7eCh, the issue with no resistors is: If you set the pin to an output, then drive the pin to the opposite polarity to what the button is connected to then press the button, then at best the Pi will reboot, and at worst the Pi will be destroyed. [21:38] <gordonDrogon> aZz7eCh, but if you trust yourself to never do that then you're fine with no resistors. [21:39] <HoloPed> hi all, Is it possible to play HD video using python ? [21:39] <HoloPed> omxplayer is in C++ ? [21:40] <HoloPed> can I play several videos without blinking/falling to commandline in between ? [21:41] <shiftplusone> ParkerR, "It's an executable on the Pi. I think it comes stock". Yes, but it's written in C++ and the source code is available. [21:42] <shiftplusone> that python script doesn't do anything.... It's a bash script disguised as python. [21:45] <shiftplusone> isn't pulseaudio already installed? [21:46] <shiftplusone> and isn't pulseaudio the problem? [21:46] <shiftplusone> and when it comes to configuring audio on linux, I don't want to touch it with a six foot pole. [21:47] <ParkerR> timatron, does it maybe just come out on the wrong output? [21:47] <timthelion> shiftplusone: well, I thought that since rasbian is used by so many people, and they only have to get it right for one damn architecture it would be configured properly out of the box. [21:48] <timthelion> shiftplusone: OK, did you choose to start to X11 or did you choose to start to the console? [21:49] <shiftplusone> I don't install things that way. [21:49] <timthelion> shiftplusone: the problem is that pulseaudio tries to tell which user a TTY bellongs to using some console kit magic... and it's desided that only the root user is allowed to play audio on my ttys. [21:54] <timthelion> I've been trying to get brltty with speech-dispatcher working(I want to have a wearable computer that talks to me out of this pi...) it's taken me all day and I haven't gotten anything working. [21:55] <timthelion> I'm a bit afraid that pulseaudio's conception of multi-user sound is fundamentally incompatible with system wide TTS screen reading. [21:55] <saedelaere> ah yes, thank you gordonDrogon. so your changing priority for the whole process instead of a single thread. [21:56] <gordonDrogon> saedelaere, however, looking at pthread_setschedparam() that seems like it might be a better idea for some thing. [21:56] <timthelion> without pulseaudio, everything worked, but speech-dispatcher is compiled without alsa support... Maybe I should just recompile it myself. [21:57] <saedelaere> gordonDrogon: yeah i will have to play with both of them. thanks for your help! [22:11] <shiftplusone> Got one out of four though, so it's not all lost. [22:14] <ParkerR> Raspbmc is where its at! [22:15] <shiftplusone> ParkerR, for shame! [22:16] <shiftplusone> I don't care either way, I just xbmc from Raspbian. [22:23] <shiftplusone> why does it need systemd? [22:24] <shiftplusone> ParkerR, not faster than your own init script with just what you need. [22:25] <shiftplusone> [Ex0r], why wait longer than you need to? If you're using it as media centre, you want it to be as close to instant-on as possible. [22:26] <shiftplusone> ah, I forget you're multi-platform. Yeah, makes sense. [22:28] <[Ex0r]> the chromecast seems like a piece from what i've seen. A cousin has it, and I checked it out. [22:29] <timthelion> [Ex0r]: Oh, come on, what percentage of the world population is actually hungry? You'd be surprised to find that most people suffering from food shortages live in relatively wealthy countries, because war is good for the economy. [22:30] <[Ex0r]> timthelion- I didn't say a majority had the problems, I said some others. [22:30] <shiftplusone> Not very relevant, anyway. [22:31] <[Ex0r]> oh, you took it apart ? [22:33] <IT_Sean> Not necessarily... you may have actually shortened the lifespan of it. [22:33] <IT_Sean> Again, not necessarily. [22:37] <shiftplusone> Looking cool there, ShorTie. [23:23] <[Ex0r]> so shiftplusone, when I test to see which one is ground, when I probe the wires and the multimeter reads +5v, the wire with the black probe is the ground ? [23:24] <shiftplusone> is it the one with the stripe? [23:26] <shiftplusone> PSUs don't "push"
[23:27] <shiftplusone> or at least the voltage is the "push"
[23:27] <[Ex0r]> so the psu, as long as its not bogged down, will be able to provide 2a if the pulling device is asking for it ? [23:30] <shiftplusone> there's nothing stopping the resistance being so low that the PSU is 'asked' to provide more than 2A. [23:32] * shiftplusone wonders if he just overcomplicated or simplified things. [23:45] <shiftplusone> on your multimeter.... is the black probe plugged into the -ve terminal? [23:50] <shiftplusone> "Usually* the wire with the white stripe or the dashed lines carries the "positive" (+) end, while the other, unmarked wire carries the "negative" (-) end." [23:51] <shiftplusone> "*I say "usually" since I've seen a wall wart with the wires were reversed, although every other wall wart I've used does it the way I've described above. " [23:55] <[Ex0r]> whats the worst that could happen? It blows up half a block ? I think you're safe.